Welcome to the State of Kansas Planning System ! The State of Kansas has initiated a state-wide comprehensive project for the purpose of developing Continuity of Operations Plans (COOP), Emergency Operations Plans (EOP), and Mitigation Plans for each of its counties and cities. For this project the State of Kansas selected BOLDplanning.com, a web-based planning system designed to assist government organizations in the COOP, EOP, and Mitigation plan development process. The BOLDplanning.com system guides users through each step of the planning process and helps develop a plan that matches the required planning guidelines. 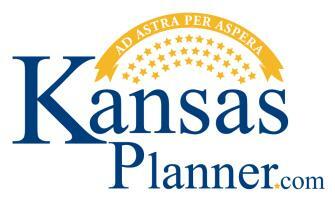 The BOLDplanning.com system has been customized to meet the specific planning needs of the State of Kansas and has been deployed via the internet at www.KansasPlanner.com for this state-wide planning initiative.